This is a 26 page packet on beginning sounds. Each page relates to one letter of the alphabet (one letter per page). 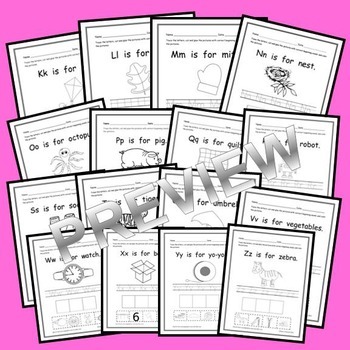 Each page has a sentence such as “Aa is for apple” (with picture – apple). Next there is a row of the related letter for students to trace. At the bottom of each page, there are 3 empty boxes. 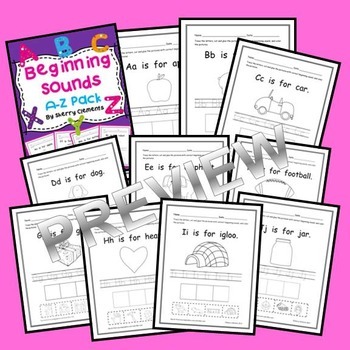 Below these 3 boxes are 4 pictures for students to choose from to find the pictures with the correct beginning sound to cut and glue to the boxes. 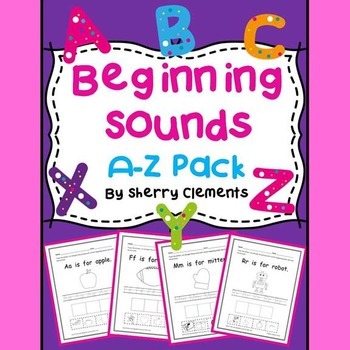 Each page has 3 pictures that begin with the sound and 1 picture that does not begin with the sound. Last, students can color the pictures. Emergent Reader: It Can Go!